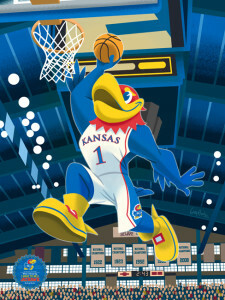 Kansas alum Greg Hardin has illustrated and designed with a variety of worldwide brands from Star Wars to Marvel Comics. 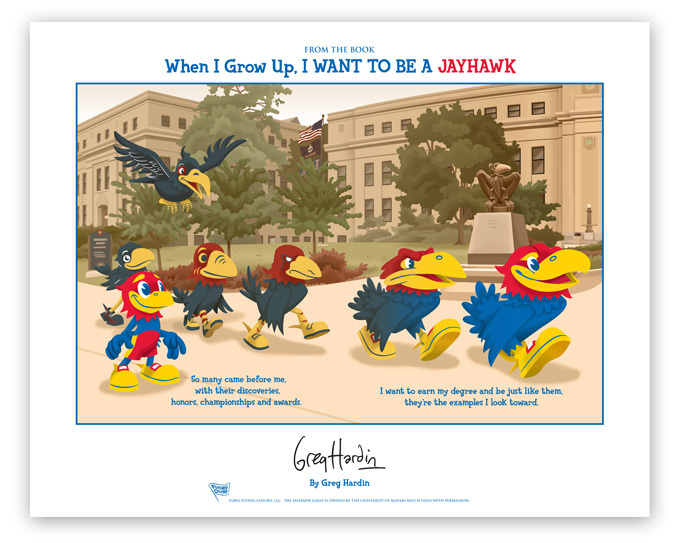 Now, through crowdfunding via Kickstarter, he is on a mission to bring an officially licensed Kansas Jayhawks children’s book to the KU community. When I was at KU (’94-’97) I had a comic strip in the University Daily Kansan for two-and-a-half years, and those were some great basketball years too. 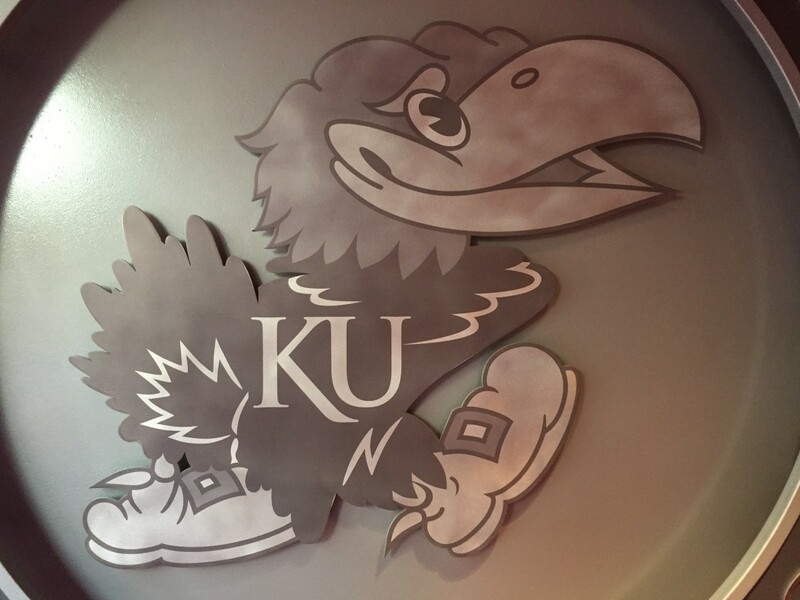 I loved my time at KU, and like most people I know, I still enjoy looking back on my college years and seeing what KU is up to, rooting for KU to succeed on the field and in the classroom. I’ve spent my career working working with famous cartoon characters as an illustrator and designer. I worked at the animation studio Big Idea Productions, makers of VeggieTales, for eight years and worked on everything from toys to cartoons to theme parks. Then after some freelancing years, I moved back to Kansas City to work for Hallmark Cards, where I worked in their Licensing studio. I got to illustrate and design with some of the most famous characters in the world, from Marvel Comics, Star Wars, Disney, Cartoon Network, Dreamworks, Pixar, you name it. I’m now a full-time freelancer again. Throughout my career I’ve illustrated over 60 children’s books. And during that time I would see books coming out from Disney and others that were so nicely done that I always thought it would be awesome if KU had a book like that. 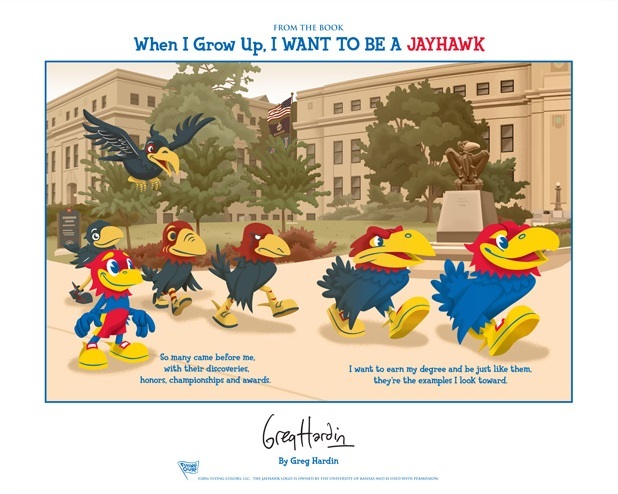 In my opinion, KU has the greatest mascot in the NCAA, and it would lend itself perfectly towards a book that celebrates KU. I realized that there was a need that I could fill. Finally my wife convinced me to sit down and do the book. I asked for a meeting with KU Licensing, showed them a piece of sample art that became the dunking poster I’m offering with the Kickstarter, and got the green light to begin developing the project. I wanted to do a fresh take on the Jayhawk, something a little more animated than what’s come before, and something that would look fresh in the marketplace, while still respecting the classic logo. It was approved and I was on my way. I tried to make the book something that, while still a children’s book, would make adults want to flip through it too. 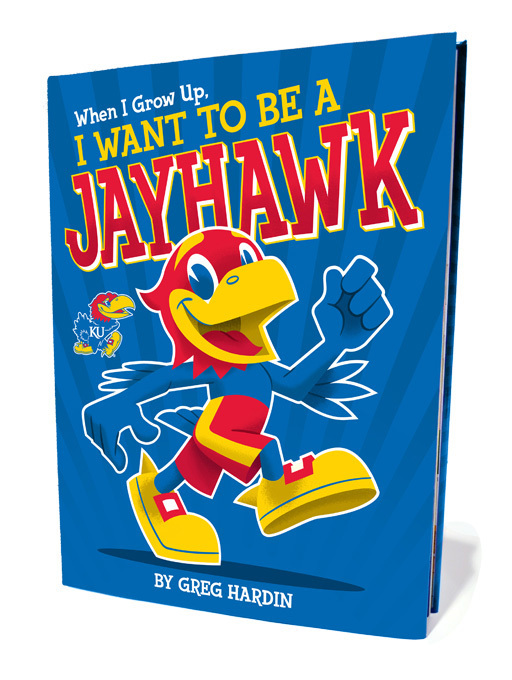 I wanted it to be something you could give as a gift to any KU fan, regardless of age. So I tried to hit every note about what’s great about KU. 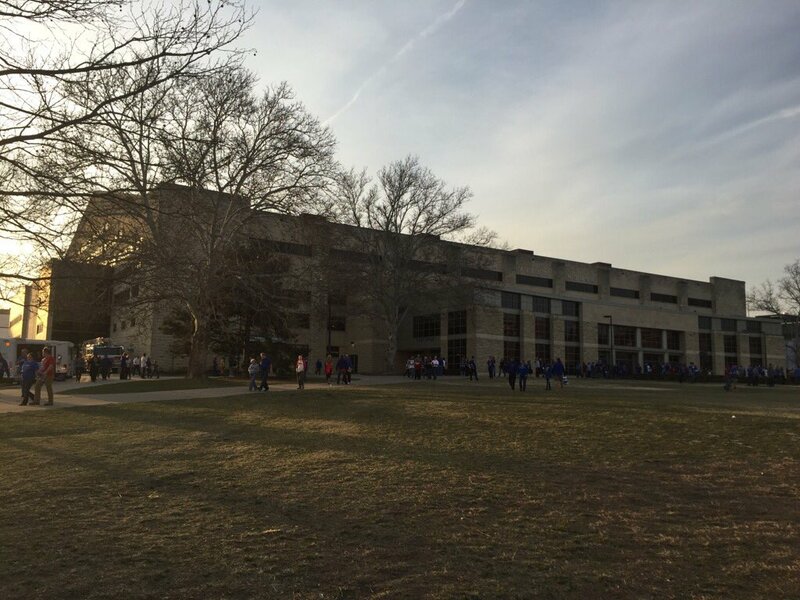 I talk about the famous people who have graduated from KU, I talk about what careers you can major in at KU, and of course I talk about KU basketball. However, KU basketball only takes up two pages in the book—I wanted this to be about what makes KU as a whole so great from a historical perspective and from the present. It was a blast to do; I’ve got flying shots over top of campus, the KU marching band, sitting in class with your hand raised, Ramen noodles—I tried to hit every note. The finished 8 1/2 x 11” book looks fantastic, it’s one of the best things I’ve ever done. I put the book on Kickstarter so I could raise the funds to cover printing costs. I’ve already spent unpaid months of time developing the project, getting it licensed by KU, and creating the art. Having backed Kickstarter campaigns myself, I know I like it best when the art is already done, because then I don’t have to wait forever to get my reward. However, some people don’t realize that Kickstarter isn’t a store and that their pledges really do matter. People who launch Kickstarter projects either raise all of their campaign goal or they get none of the money. A customer who waits until later, thinking they’ll just get the book at retail doesn’t help me get the book printed tomorrow. Hopefully people will want to see this project realized and in people’s homes will help make that happen by contributing with pledges. A huge thanks to those who contribute! For more information and to support the project, visit the book’s Kickstarter page.